Windows 10 is out and like many others we have known about it for sometime due to the popup we have been getting after an update to our systems. If you are like me you just want it to go away until you really want it then get it. So how do we remove this un-wanted update. Open Control Panel and click on programs and features. This opens the list of software installed on the system. Click on “view installed updates” on the left side of the window. 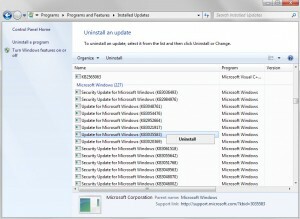 Right-click one update after the other and select uninstall from the context menu. 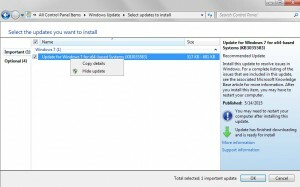 Select Restart Later when the prompt appears and remove all updates first from the system. 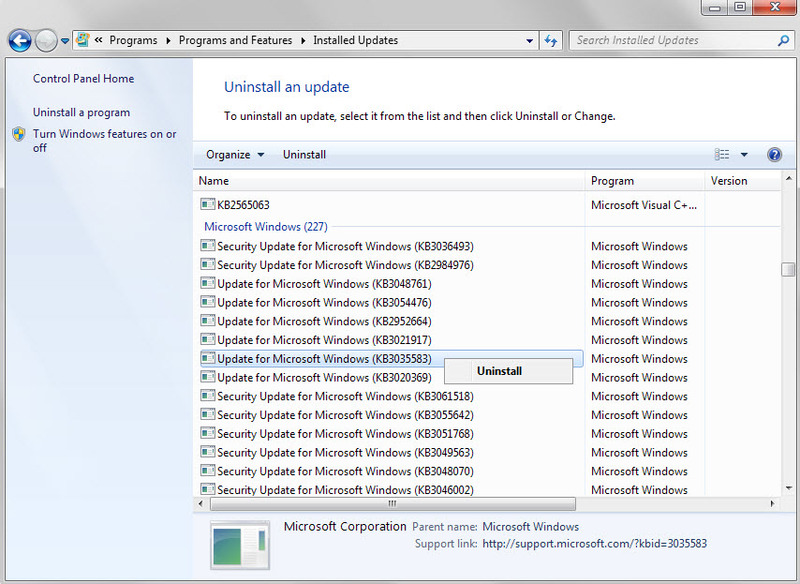 Once you are done, it is important that you block these updates from being found and installed again by Windows Update. If you don’t do this and have automatic updates enabled, they may be installed again on the system. Select “check for updates” to find new updates to install on the system. Windows should find the updates listed above again. Click on the “important update is available” link. 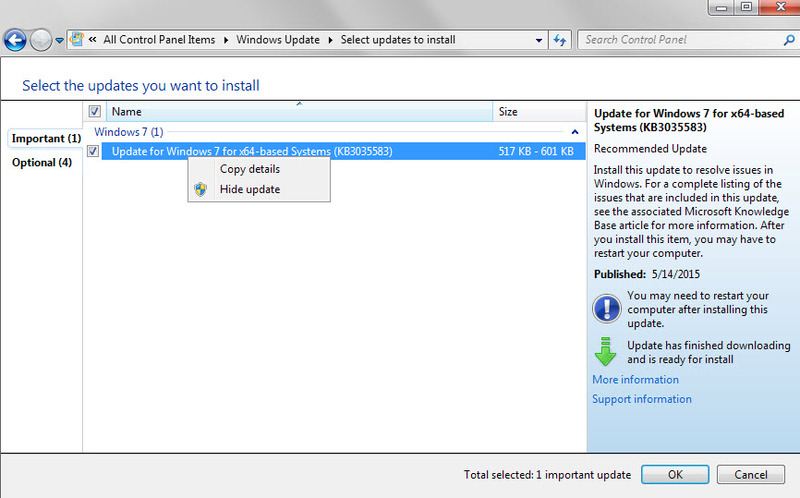 Right-click each of the listed updates above that are listed on the page and select hide update from the context menu. And that is all there is!